Part of a series, this guide offers help and ideas for setting up and running a singing group for people with Parkinson’s. 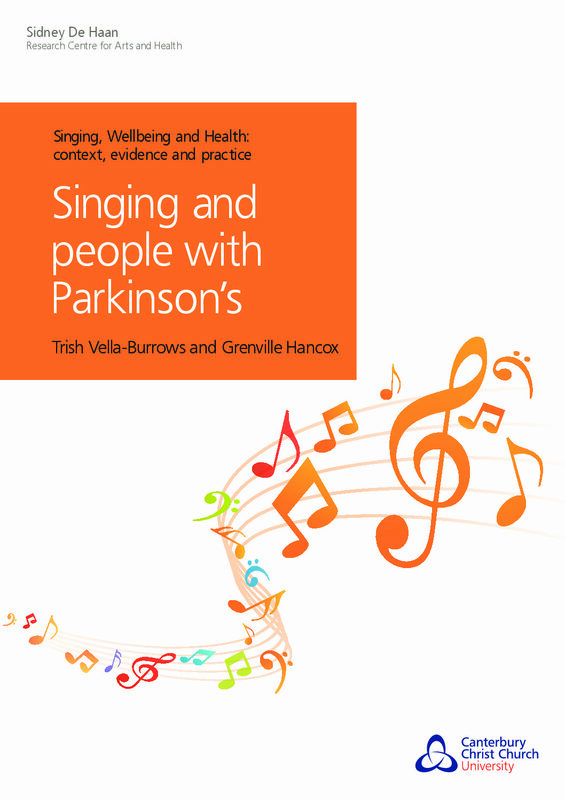 Providing evidence via case studies and research projects, that group singing can be beneficial for people living with Parkinson’s, the guide is aimed at health professionals, the voluntary sector, funders, and those affected by people suffering with Parkinson’s. Vella-Burrows T., & Hancox, G. (2012). Singing and people with Parkinson’s. Canterbury: Canterbury Christ Church University/ Sidney de Haan Research Centre for Arts and Health.